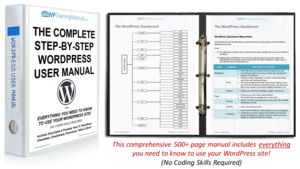 The Complete Step-By-Step WordPress User Manual & Rebrandable Version - 500+ Pages! The most comprehensive WordPress learning & training resource available. Includes everything you need to know to use WordPress effectively! I bought it and am still waiting for the product's download link. Pls send me the download link. Thx.